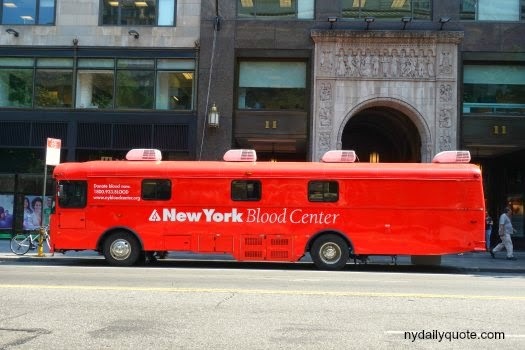 New York Blood Center bus on 42nd St.
"New York is the perfect town for getting over a disappointment, a loss, or a broken heart. Some people find it cruel and lonely. To me it was a transfusion, mostly because it was real."